This webpage was primary dedicated to my school project, which took place between the fall of 2010 and the spring of 2011. Basically, the project was to build an Electric Balalajka. Now when this has been done, I hope to develope this page to provide information about electric balalajkas. I also plan to add a couple of sections with chords and more information about balalajkas in general. The page was last updated on the 5th of August 2012. This homepage is still under construction, but it will hopefully get better in time, I am going to keep on trying to improve it when I find the time for it. 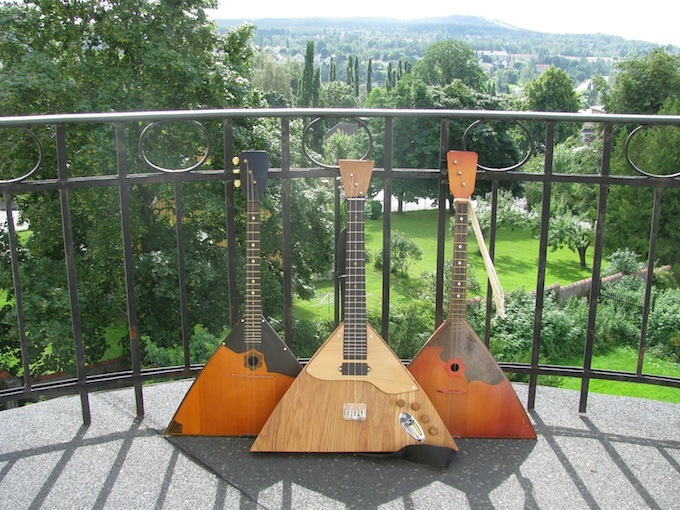 Here are three of my balalajkas, the electric, which I have built on my own is in the center.